Advanced call routing is one of the most useful technological innovations that your small business can take advantage of in today’s busy world. Advanced call routing is one of the most useful technological innovations that your small business can take advantage of in today’s busy world. Most businesses are familiar with routing calls to Auto Attendants, voicemail, outside numbers, or an after-hours call center, but now with cloud phone system technology, companies can get even more familiar with routing options. 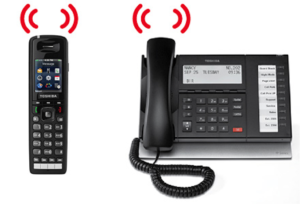 Below are some examples of advanced call routing options. There is no reason one person has to field all of your business calls. With group routing, multiple individuals can answer incoming calls on their extensions, direct dial numbers, or even their cell phones. Incoming calls can ring all phones simultaneously or in a sequential order, so none of your important calls are missed. Important Clients – Route your most important clients to top C-level personnel or your best representatives. This will ensure your most valuable customers receive prompt, all-star service by routing them to the right person or department the first time. Telemarketers/Out-of-state Calls – Some local companies choose to route out-of-state area codes directly to voice mailboxes or to a fast busy signal. This helps local businesses increase productivity because employees are free to assist customers rather than talking to telemarketers. Vendors – Route vendor calls directly to production, purchasing, sales, source management or Accounting departments to help reduce unnecessary transfers and hold times. Do you make frequent conference calls? Route one of your phone numbers to your Conference Hub for always-on conferencing. Conference moderators and participants will appreciate a fixed phone number for recurring meetings. Once you have reviewed your advanced call routing options and have decided to integrate one or all of them into your small business’s telephony, the time has come to start taking advantage of some benefits that will help you grow. Increased Productivity: When advanced call routing is enabled, every single one of your employees becomes more productive. Calls are automatically routed to the right person or department the first time around– avoiding unnecessary transfers and extended hold times. Save Money: For any small business, saving money is essential to their survival. By incorporating advanced call routing, you can lower your day-to-day operating costs and on-premise personnel. It’s Simple: Advanced call routing is simple to setup and update and can be managed in your online Cloud PBX portal. ACC Telecom provides voice communication and cloud-based solutions tailored to the needs of your business. We have over 38 years of experience in the telecommunications industry and pride ourselves on offering customers in Maryland, Washington DC, and Northern Virginia top-notch service and affordable prices. To get a quote or learn more about how we can help your business grow, give us a call at 410-995-0101. For more interesting articles and tips, follow us on social media on Facebook, Twitter, LinkedIn, YouTube, and Google+. This entry was posted on Thursday, June 7th, 2018 at 9:13 am. Both comments and pings are currently closed.